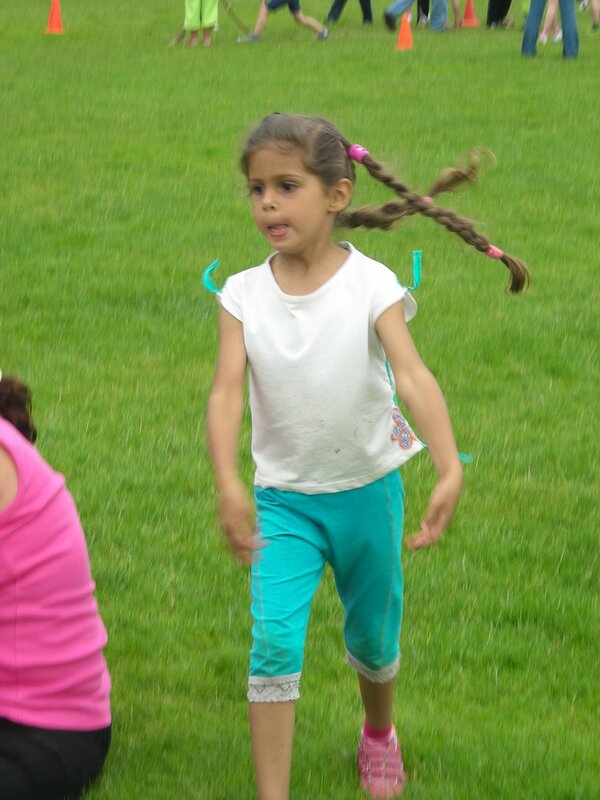 Hannah really enjoyed the sportsday at school. There were many different games to play. The weather was very good as well, luckily because it was pouring down in Delft. Maudy made this nice photo.